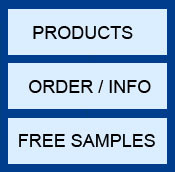 Each product page has a BUY NOW button with a shopping cart link. Whether you want to order by PayPal or credit card, PayPal will process either payment method. Note that PayPal's optional Bill Me Later plan can give you up to six months to pay for your purchase. After you order, you will receive email instructions for product download. The downloads are set up manually after a brief security check. The download instructions are usually emailed between the hours of 10am to 6pm US CST(-0600). After-hours and weekend orders are frequently given immediate attention. If you don't receive your download instructions immediately, be patient - the email should arrive the same day. If you fail to receive your download instructions, email us at the email adress below.